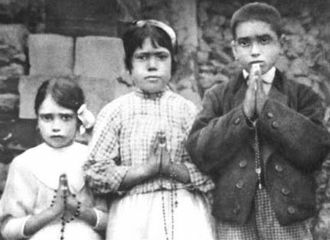 O Mary Immaculate, who revealed thyself at Fatima to Lucia, Francisco, and Jacinta as “Our Lady of the Rosary,” renew in my heart the joy of true devotion to thee. May the contemplation of the mysteries contained in the Life, Passion, and Glory of thy Divine Son be for me strength in weakness, assurance in doubt, courage in suffering, and gratitude in joy. O Queen of the Most Holy Rosary, in these times of trial and confusion, obtain for me, by the Precious Blood of thy Son, pardon for my sins, the salvation of my soul, and the necessary means to secure it. Protect my family from the dangers that surround us and keep us secure under thy protection. Grant that the Holy Catholic Church may triumph over her enemies, and that the Kingdom of Christ may be propagated on earth. "Fashions that will greatly offend Our Lord will appear. People who serve God should not follow fashions. The Church has no fashions. Our Lord is always the same." 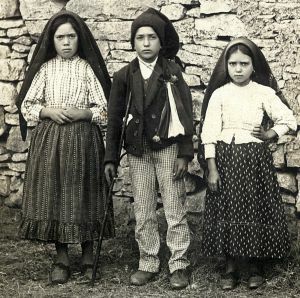 O Mary Immaculate, who appeared at Fatima to Lucia, Francisco, and Jacinta clothed in dazzling white, have mercy on those tempted by the sin that most directly contrasts with thy lofty purity. O blessed Virgin, whose virginity was so beloved by God that He performed an unheard-of miracle to preserve it in thee, have compassion on those who struggle against the horrendous seductions of impurity. O Virgin Most Pure, grant to these souls an energetic repulse against this temptation and ward off sinful occasions from them. Fill their souls to overflowing with an intense and intransigent love for holy purity. 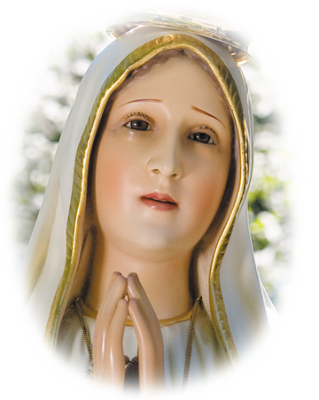 Restore them to their baptismal innocence and permeate them entirely with the supremely pure fragrance of thy chastity. 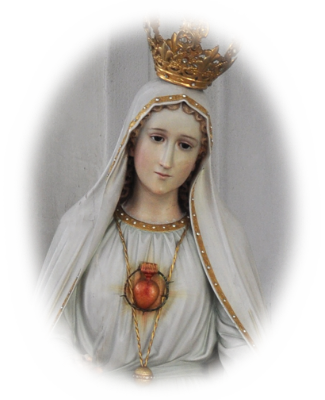 O Immaculate Heart of Mary, form anew in the poor dwelling of our hearts, the Most Sacred and Adorable Heart of Jesus thy Son, Who is Eternal and Incarnate Purity itself. “Pray much for priests! Pray much for religious! Priests should only occupy themselves with the affairs of the Church. Priests should be pure, very pure. The disobedience of priests and religious to their superiors and to the Holy Father greatly offends Our Lord." 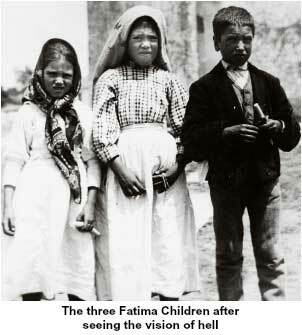 O Mary Immaculate, who at Fatima entrusted to Lucia, Francisco, and Jacinta a merciful solution to the moral crisis of our times, look with compassion upon those who govern our souls and those who rule over our nation. A serious rendering of their grave responsibilities will be requited by Almighty God of these spiritual and temporal leaders for all those placed in their charge. O Mother of the Eternal High Priest and Divine Victim, obtain for His priests the grace to apply to themselves the words they say every day at the altar, “This is my Body, this is my Blood,” recalling interiorly, “I am no longer myself, I am Jesus, Jesus crucified. I am, like the bread and wine, a substance no longer itself, but by consecration another.” And obtain for our civil leaders a love and veneration for the divine and natural laws that, guided by them, they may rule your people in righteousness. 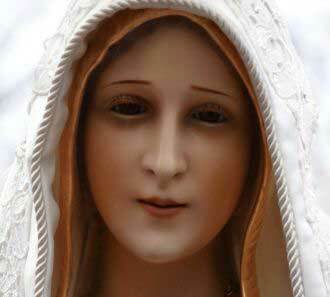 “ Our Lady showed us a great sea of fire which seemed to be under the earth. O Mother of Mercy, in thee God clothed Himself in our humanity that He might redeem us from sin and open for us the gates of Paradise. 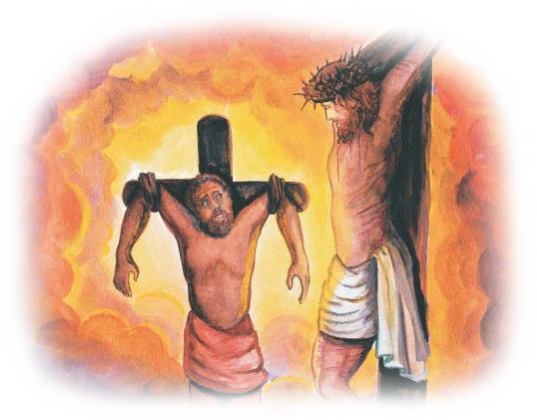 The immeasurable suffering of His Passion and Death should evince from our souls a love commensurate with the abandon with which He shed His Precious Blood, and yet we persist in our sins. Shake us from our spiritual lethargy by this vision of Hell and move us to heed thy motherly plea to amend our own lives and pray for sinners. 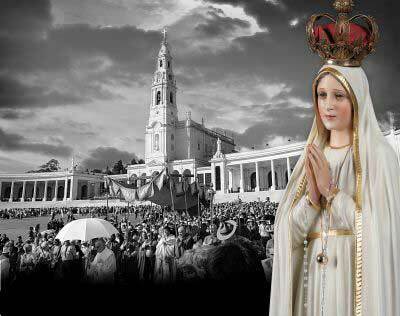 O Mary Immaculate, who at Fatima predicted to Lucia, Francisco, and Jacinta that unless men converted and thy requests were fulfilled, worse calamities would befall, show thyself a mother to us in these perilous times. O Mary, Help of Christians, the heart of such a mother cannot fail but be moved with compassion at the sight of thy children suffering under the yoke of Communism. But what sorrow must be thine on seeing the vast majority of men accepting those errors which you warned them against! In these times of such brazen impiety, show thy power with the signs of thy former victories, and look with mercy upon the Church of thy Son, sorely oppressed in this mighty conflict. 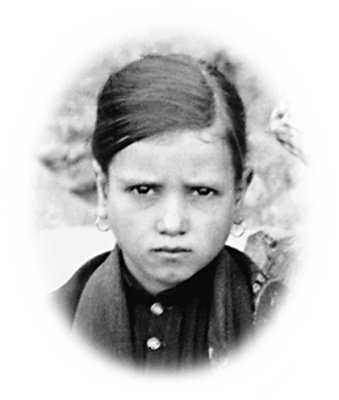 O Mary Immaculate, who at Fatima in 1917 warned the world through Lucia, Francisco and Jacinta of a terrible chastisement, and in 1973 in New Orleans wept with the abandon of a heartbroken mother, how truly devastating must be the sight of the world in our own days! What moral aberrations have been embraced in the years since you wept! 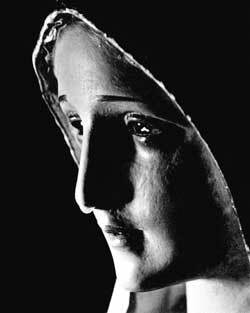 Thou art truly the Mother of Sorrows! A dying man asked a dying man for eternal life. A man without possessions asked a poor man for a Kingdom. A thief at the door of death asked to die like a thief and steal Paradise. purchased over the counter of Calvary by the red coins of Redemption. As a youth, Alphege became a monk in the monastery of Deerhurst in Gloucestershire, England, afterwards an anchorite and later an abbot in a monastery in Bath. At thirty, at the insistence of St. Dunstan and to his great consternation, he was elected Bishop of Winchester. As bishop, he maintained the same austerity of life as when a monk. During his episcopate he was so generous toward the poor that there were no beggars left in the diocese of Winchester. Alphege served twenty-two years as bishop of this see and was then translated to the see of Canterbury at the death of Archbishop Aelfric. During this period, England suffered from the ravages of the Danes who joined forces with the rebel Earl Edric, marched on Kent and laid siege to Canterbury. When the city was betrayed, there was a terrible massacre, men and women, old and young, dying by the sword. The Archbishop hastened to the defense of his people, and pressing through the crowd begged the Danes to cease the carnage. He was immediately seized, roughly handled, and imprisoned. A mysterious and deadly plague broke out among the Danes, and, despite the fact that the holy prelate had healed many of their own with his prayers and by giving them blessed bread, the Danes demanded an exorbitant ransom for his release. As the Archbishop protested that the country was too poor to pay such a price, he was brutally assassinated. St. Alphege was the first Archbishop of Canterbury to die a violent death. In 1023, the martyr's body was translated with great ceremony to Canterbury accompanied by the Danish King Canute. Although he did not die directly in defense of the Faith, St. Alphege is considered a martyr of justice. He hung on a cross that day, writhing in pain and discomfort, the infamous highwayman. On his left hung another man, covered in the matted blood of his wounds. Yet, with the exception of a few intermittent words, there was no sound from him. As time passed, the thief became more and more engrossed in the silent crucified beside him, and less and less in his own plight. Indeed life is ironic, mused Dismas, this man who had lived in the open, and was acclaimed as a healer and even as a king, now hung beside him who had spent his life lurking and hiding. And then he knew her; that upturned face, that maidenly majesty now wracked by sorrow, her tear-filled eyes fastened on the man on his left–Yes, he knew that face. As the wheels of time rolled back in his mind, his heart gave a jolt as he remembered that blessed day in the desert, decades ago, when a young family making its way to Egypt, sought refuge for the night in his family’s hovel. The man was strong and kind, the woman was the fairest his child’s eyes had seen, and she carried a golden haired babe, as if nothing in the universe was more precious. He remembered the lady’s gaze on him, her beautiful eyes full of concern for the leprous sores on his young body. Then she and his mother talked. And next, he was being bathed in the same water the lady had just washed her infant son. And then the sores were gone. His mother wept for joy, and kissed the lady’s hands, and the baby’s feet. And even his robber-father was moved, and offered the strong man and his family the best in the house. Now, in one revealing flash, he knew the identity of the wounded man on his left. He looked again at the lady, and her eyes, those same sweet eyes of old, were on him once more. Copyright by P. J. Kenedy and Sons. 1927, p. 18.